A mild antiseptic for the treatment of chronic skin diseases of the hoof, corns, quarter cracks, split hooves and heels. When do I use Potties Stockholm Tar? 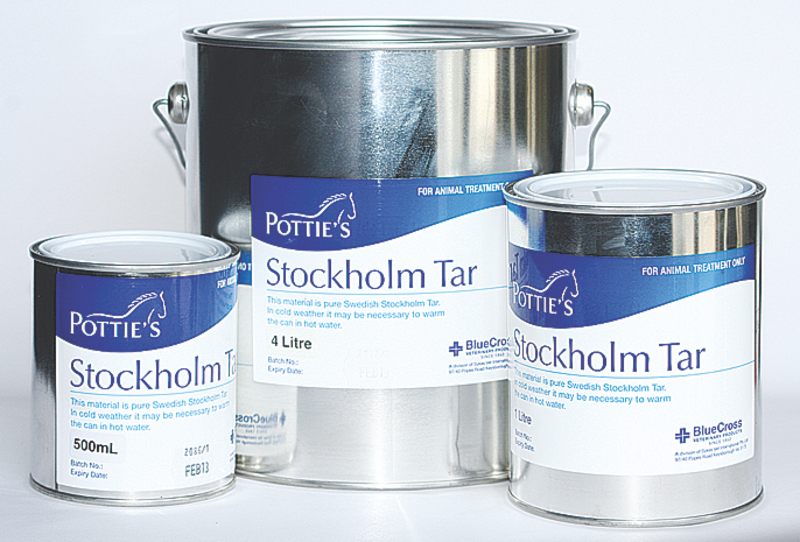 Potties Stockholm Tar should be used in the event that a horse has corns, split hooves, cracks in the hoof wall, thrush or most other bacterial infections in the hoof. How do I use Potties Stockholm Tar? Stir well before use. Apply with brush or sponge to affected parts. Note, in cold weather, it may be necessary to warm the can in hot water to soften, prior to use. Can Potties Stockholm Tar be used on other animals?